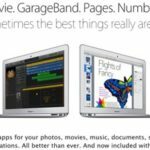 Thirty years ago, Apple started a revolution: it “introduced the Macintosh with the promise to put the creative power of technology in everyone’s hands. It launched a generation of innovators who continue to change the world”. To celebrate these past 30 years of innovation, Apple has posted an inspirational video on its official YouTube channel and dedicated a page on its official website to some of the pioneers who have influenced the world. 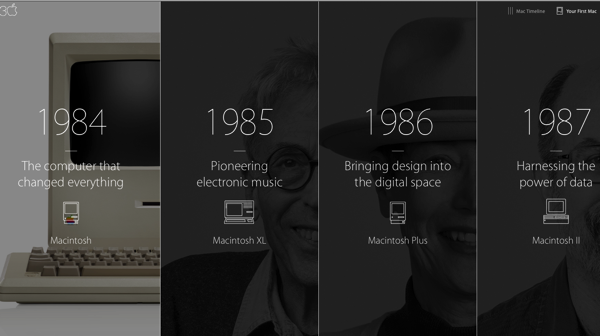 The Mac Timeline shows the key elements of each of the 30 years that Apple looks at, now featuring John Appleton, who pioneered electronic music (1985); April Greiman, a New Wave artist who brought design into the digital space (1986); and Moby, who reinvented music production in 1999.